St Martin’s Community Centre on Flint Street is gearing up for the Allenton Big Build, which is due to begin next month. The centre at St Martin’s Methodist Church will receive a transformational makeover through a DIY-SOS-style community project led by Hodgkinson Builders and supported by Allenton Big Local and Derby Homes. The aim of the revamp is to provide a modern community venue that local people can use for events, meetings, parties, clubs, and classes. The refurbishment of the building will incorporate the creation of a welcoming cafe where members of the community will be able to enjoy coffee, tea or lunch. Allenton Big Local is providing £70,000 of funding for the project, but the transformation of the community centre on Flint Street has only been made possible thanks to St Martin’s Methodist Church, Hodgkinson Builders and Derby Homes. The church has agreed to the refurbishment of the building to develop it into an asset that will benefit the wider community. Hodgkinson Builders will provide vital expertise, resources and project management skills that will ensure the project’s success. Derby Homes will support the project and advise St Martin’s Methodist Church on managing and promoting the community centre effectively. 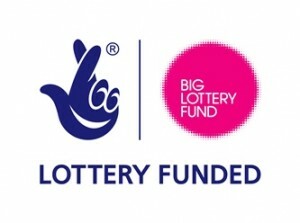 More information and updates will follow soon on the Allenton Big Local website, on Facebook and Twitter.